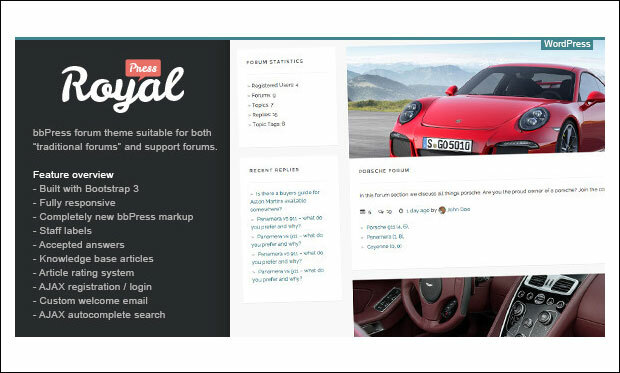 In this post, we have come up with bbPress WordPress themes to help users integrate forums for their blogs or websites. 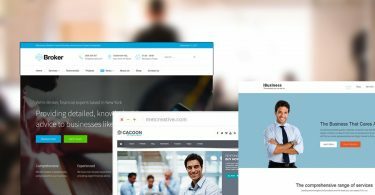 These themes are bbPress ready to improve your online brand presence and also to boost the website traffic. Choose the best bbPress WordPress theme that matches your taste and requirement. 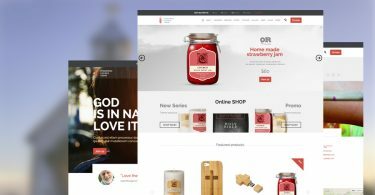 Many of these themes are compatible with BuddyPress and WooCommerce plugins. They feature responsive layout to make your site perfectly adjust on iPhone, iPad, desktop, tablets, smartphones and other mobile devices. 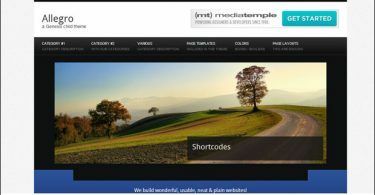 Without much ado, have a look at the Top 25 bbPress Ready WordPress Themes. Rebloom is the creative and flexible bbPress WordPress theme that is sophisticated with many advanced features. It has the powerful and easy visual composer that helps in easy creation of the pages with simple drag and drop options. 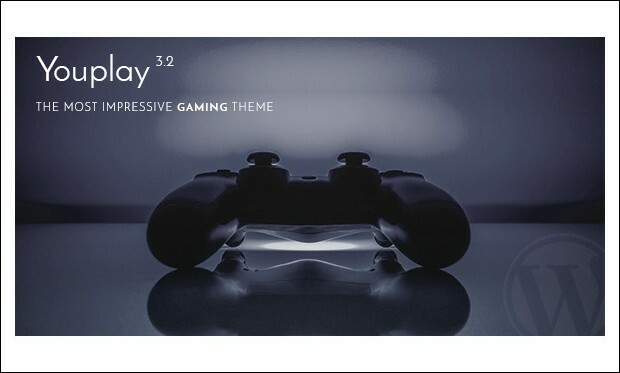 Youplay is the BBPress compatible gaming wordpress theme for gaming, communities, clans, news and stores. It is a clean and responsive wordpress theme with powerful admin options that help in faster development of the community gaming website. 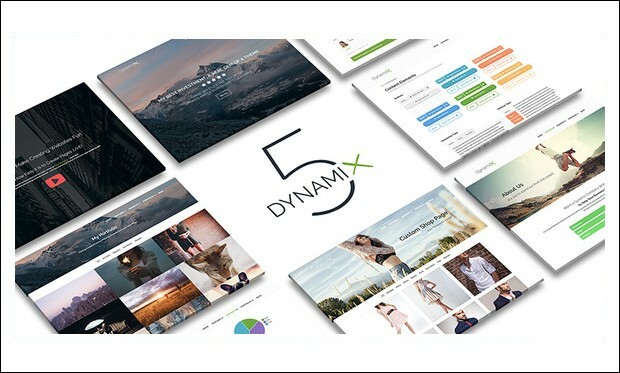 DynamiX is the corporate or Business responsive theme that is bbPress compatible for creating any type of business website with an ease. It is bundled with all the advanced features that help in faster development of the bbPress websites. Plexus is the modern and clean wordpress and bbPress WP theme that helps in the easy creation of the responsive and powerful wordpress multisite to host a blog network. It is bundled with all the excellent features which are essential in creating the community website. 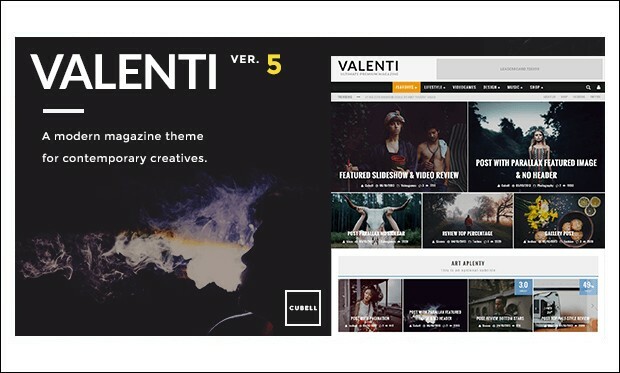 Valenti is fully feature packed bbPress wordpress theme that is fully responsive and created using the exclusive drag and drop builder in order to provide the freedom in easily creating the pages of the websites. 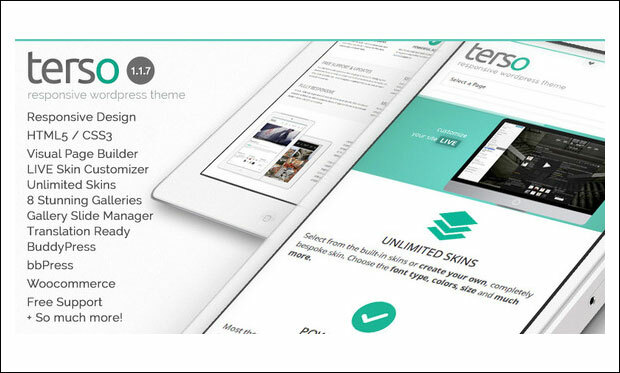 Terso is an ultimate BuddyPress and bbPress WordPress theme that has been coded with HTML5 and CSS3 technologies. This theme is search engine optimized and supports integration of WooCommerce and eCommerce plugins. You can customize the theme and preview the changes made to the site by using live customizer. It is translation ready and compatible with WPML multilingual and qTranslate plugins. CheerApp is an elegant bbPress WordPress theme designed for creating standalone forums. Important features of this theme are live search, pricing tables, column shortcodes, Ajax contact form, tabbed user profiles and knowledgebase with topic browser. You can embed videos using the full width slider to impress visitors the minute they land on the site. It is well documented to solve the potential queries of the users. If you are in search of a best bbPress WordPress theme then Engage would be the perfect solution for you to consider. 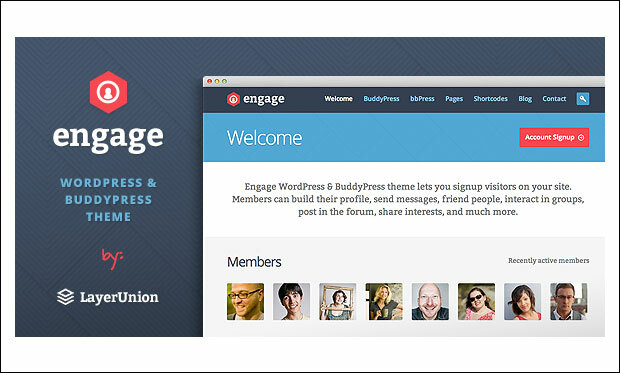 It even supports BuddyPress plugin for creating social communities and forums with ease. Engage theme allows you to change backgrounds, colours, links, text etc without any HTML or CSS coding knowledge. It includes layered PSD Photoshop files for easy customization of the site. It’s a bbPress forum WordPress theme that is built on bootstrap 3 framework. RoyalPress theme is powered by OptionTree and features responsive design to make your site perfectly adapt on different screen sized devices. Get started with your own full fledged support forum or normal forum site by downloading this theme for $48. This theme includes documentation, built-in knowledgebase and video tutorials to help users with proper installation and customization of the theme. 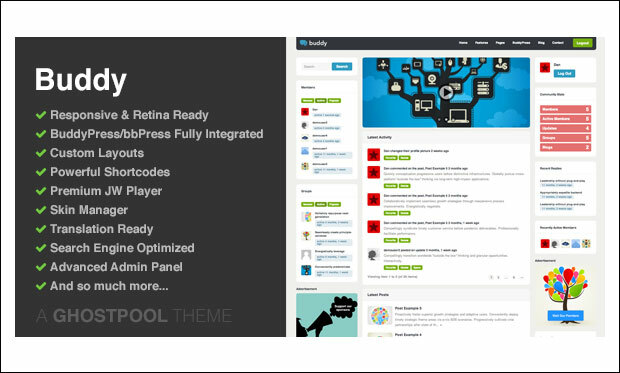 Social Buddy is a beautiful WordPress theme that is programmed with HTML5 and CSS3 techniques. This theme is compatible with BuddyPress and bbPress plugins to help you build communities and social networks easily. Give your site a unique look and feel by changing colours in a single click. It is built with SEO best practices in mind to optimize site on Google, Bing, Yahoo and other search engines. The theme is ready for translation to multiple languages. 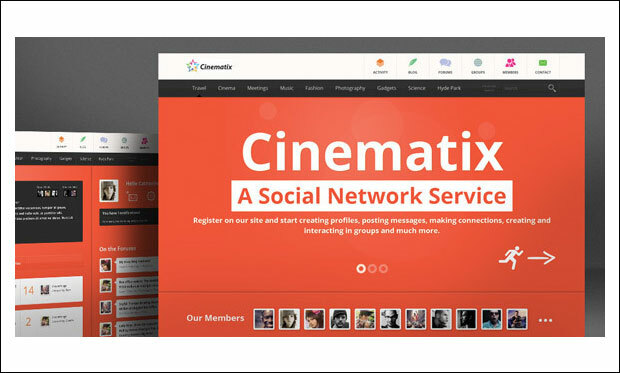 Cinematix is a bold BuddyPress and bbPress integrated WordPress theme from Theme Forest. It allows visitors to register and login to the site for creating their own profiles, make connections, posts messages and interact with other members in the group. This theme is compatible with WPMU and WooCommerce plugins. It includes 40 different pages for registration, login, password recovery, members group, group details, blog, contact us etc. 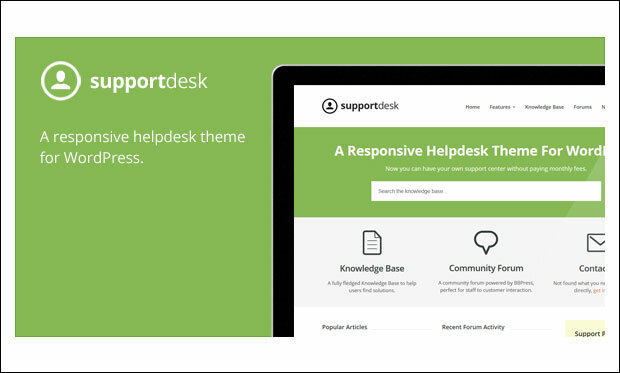 It’s a clean yet attractive helpdesk WordPress theme from Theme Forest. This fully responsive theme adapts on any screen sized device such as desktop, laptop, iPhone, iPad and android devices. It fully supports integration of bbPress plugin to help users create a powerful community forum so that customers and staff members interact with one another. This theme is built with SEO best practices for improving the website visibility on various search engines. 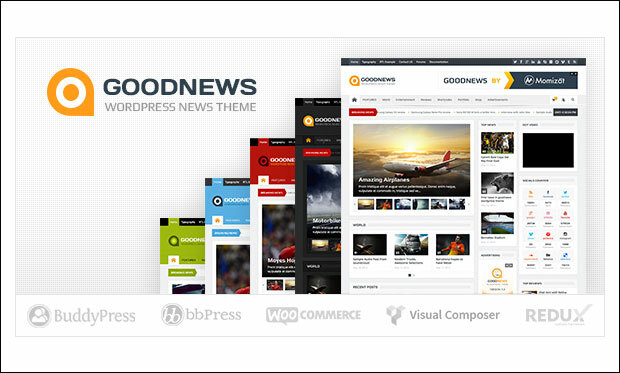 Goodnews is beautiful news and magazine WordPress theme that comes loaded with tons of useful features to make your site stand out from the crowd. It is fully integrated with bbPress and BuddyPress plugins. This theme is retina ready, Apple iOS friendly and supports Right to Left (RTL) languages. Impress your visitors by making use of revolution slider and layer slider. It supports MailChimp integration for enabling customers to subscribe newsletters. It’s an attractive multipurpose WordPress theme that is compatible with bbPress plugin to help those users who wish to build powerful social forum website. 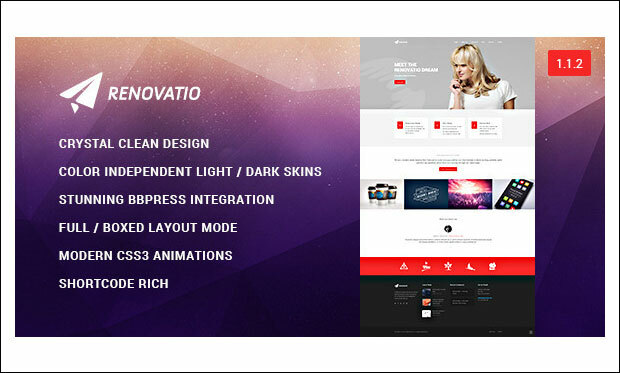 This theme is designed to impress visitors as it includes multiple sliders like revolution slider, simple slider, stand out, ken burns, viewport and relay slider with touch or swipe support. 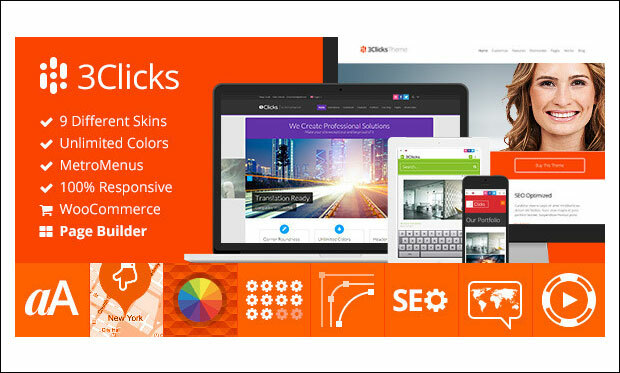 3Clicks theme allows you to choose from unlimited colours, 360+ icons, custom backgrounds, 650+ fonts and 9 unique skins. 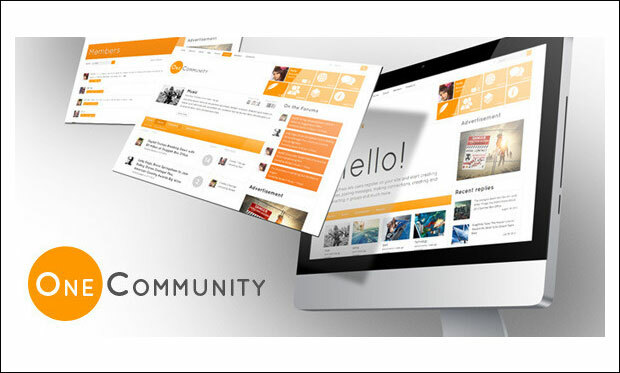 OneCommunity is a bold BuddyPress and bbPress integrated WordPress theme. Start building your won site by using 40 predefined inner pages within few minutes. This theme includes OneByOne slider to grab visitor’s attention towards the site. It can be translated to local as well as international languages. This theme is tested to run well on major browsers like Firefox, Opera, Chrome, Safari, IE8, IE9, IE10 and IE11. 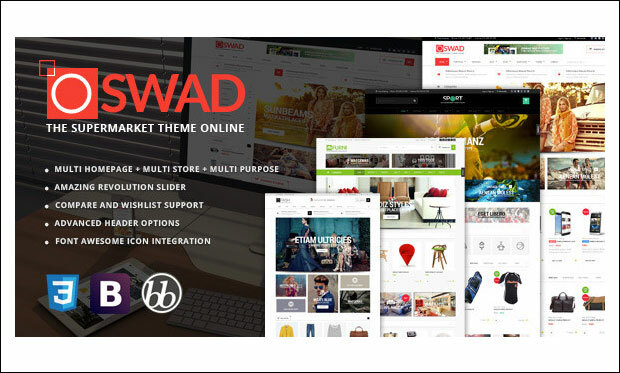 Oswad is multipurpose, multi homepage and multi store WordPress theme that comes jam packed with essential features to help users with easy creation and customization of the site. It supports bbPress for creating forums. Integrate Google maps onto your site to provide visitors with driving directions of the location. By using custom Contact Form 7 plugin, you can craft your own contact forms for establishing interaction with website visitors. This bbPress and BuddyPress integrated theme is especially designed for those people who want to build social networks and forums for schools, sports and other similar kind of sites. Xphoria theme allows visitors to signup, login, build profiles, create groups, make connections and exchange massages with other members. The wide layout and responsive design provides visitors a great viewing experience from their tablets, PC and smartphones. 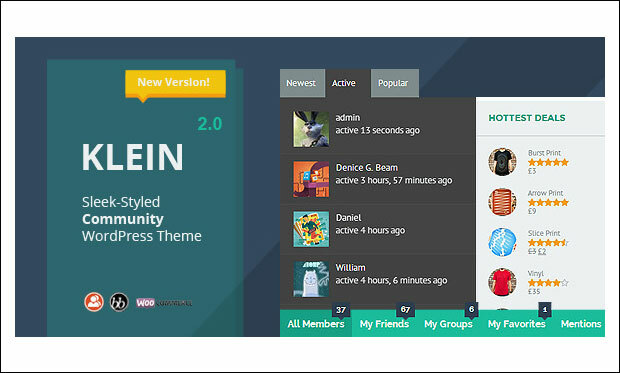 Klein is a stylish community WordPress theme having full support for bbPress, WooCommerce, Contact Form 7, Paid Membership Pro and BuddyPress plugins. It is built on twitter bootstrap 3.0 framework and tested to run on popular browsers and modern version of WordPress. This theme includes visual composer to help you build unique layouts for posts, pages and homepages by simply dragging and dropping the blocks. WildCommunity is a clean yet attractive WordPress theme from Theme Forest. It is fully integrated with bbPress and BuddyPress plugins for building social networks and forums for companies, schools, colleges, sports and other similar kind of websites. Get started with your own site by using 40 inner pages for blog, contact us, registration, login, group members, members, activity, search pages and so on. It includes XML files and 26 PSD Photoshop files with graphic elements. It’s a premium multipurpose WordPress theme that is highly customizable to suit the needs of various users. 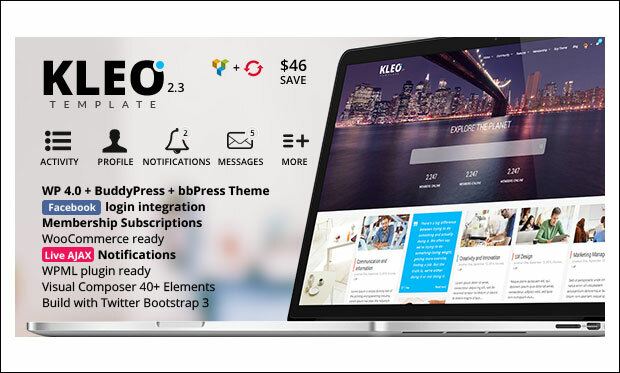 KLEO is compatible with bbPress, BuddyPress, WPML, WooCommerce and Gravatar plugins. It is jQuery powered and coded with HTML5 and CSS3 techniques. You can integrate Google maps into the site to provide visitors with driving directions of the location. Different post formats for inputting data are audio, video, link, quote, status, aside, classic and image. 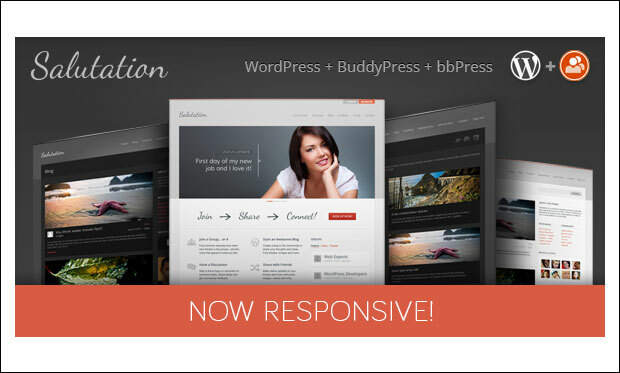 Salutation is a smart bbPress and BuddyPress theme that is compatible with the modern version of WordPress. Download this theme to create social forums to allow visitors update status, make friends and send messages in the groups. 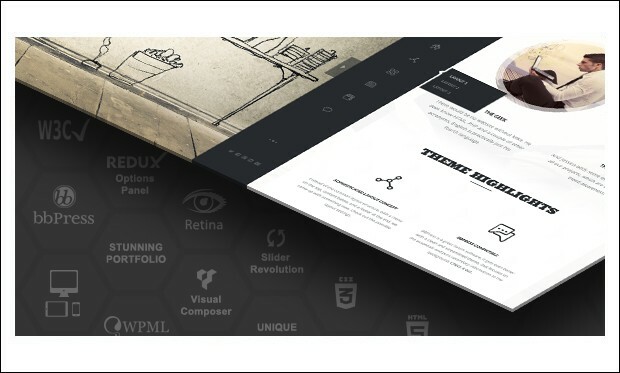 By using powerful theme options, you can manage and control the design of the website. It includes slider revolution to help you create stunning slides to impress visitors the minute they land on the site. 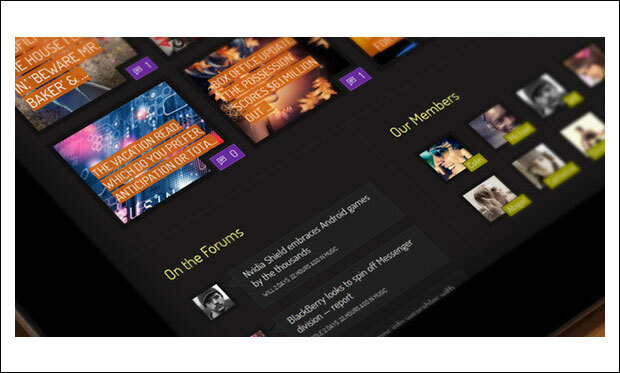 MikMag is a responsive and highly versatile WordPress theme that can be used to create forums for some specific groups. Impress your visitors by designing stunning slides with the help of nivo slider, layer slider and latest post slider. It supports integration of WooCommerce into the site for selling products online. This theme offers users premium support by the dedicated staff members to solve their queries quickly. 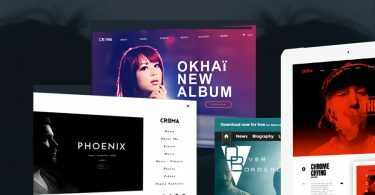 Give your site a unique look by choosing from single skins, dual skins, 600+ Google web fonts and boxed and full width layouts. 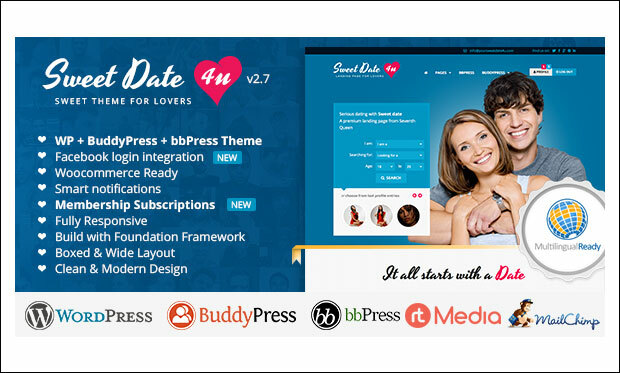 Sweet Date is a premium WordPress theme suitable for building dating and community websites. You can easily install this theme by following the step by step instructions. This theme is fully compatible with bbPress and BuddyPress plugins. 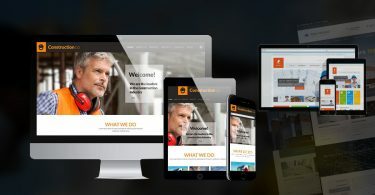 Due to its fully responsive design, this theme perfectly scales down on devices ranging from huge desktop computer to small mobile gadgets. It is tested to run well on popular browsers such as Firefox, Google Chrome, Internet Explorer, Safari and Opera. 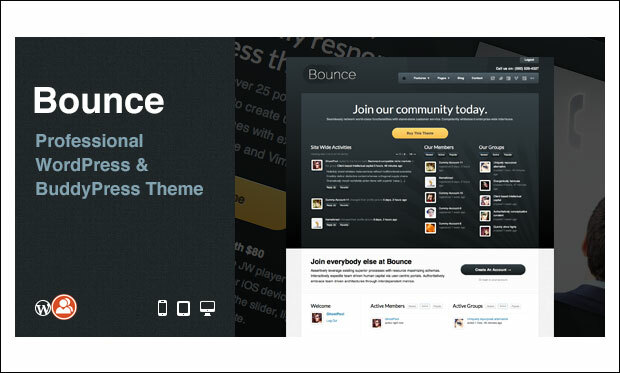 Bounce is an amazing bbPress and BuddyPress theme that supports the latest WordPress version. Design your site by choosing from 7 unique skins i.e. orange, maroon, purple, teal, brown, dark grey and dark blue. You can automatically install and setup the theme and even import the demo data to make your site look similar to the one shown in live preview. It is search engine optimized to improve the site ranking and appearance on Google, Bing, Yahoo etc. 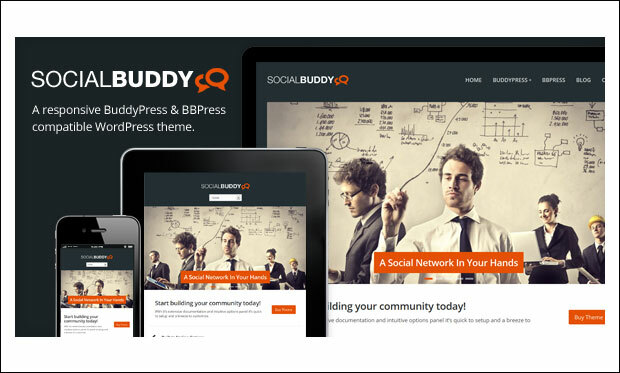 Buddy is BuddyPress and bbPress integrated WordPress theme that is coded with valid CSS3 techniques. Visitors landing on the website can register and login from the frontend of the site. It is SEO optimized to lessen the bounce rate and improve the site rank on various search engines. 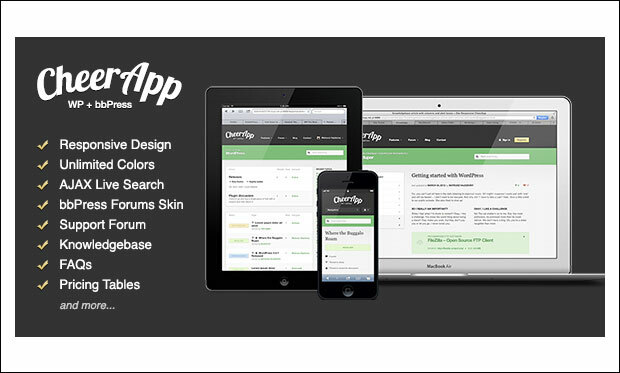 This fully responsive and retina ready theme looks sharp and pixel perfect on all screen sized devices. You can change every element of the theme by using powerful admin panel. 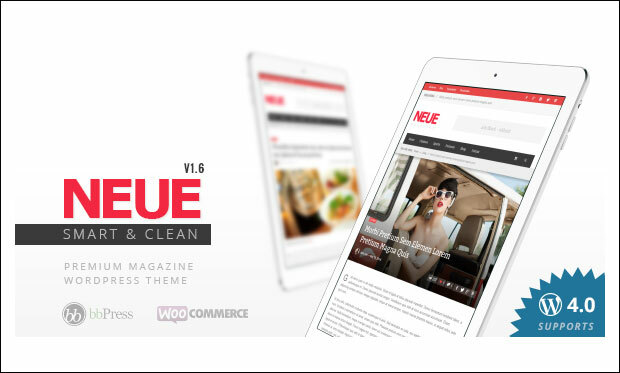 NEUE is a clean and smart looking WordPress theme having full support for bbPress and WooCommerce plugins. Get stated with you own site by installing this theme via one click demo installer feature. 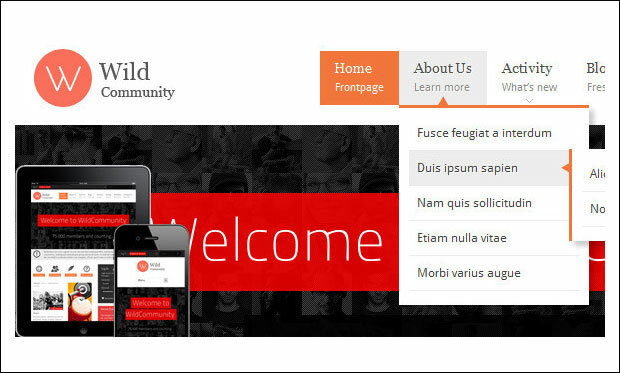 This theme is built on bootstrap 3 framework and supports child theme. Users are provided with life time free support and updates to keep them notified with latest theme information. It is translation ready and supports Right to Left (RTL) languages like Arabic, Urdu, Persian etc. 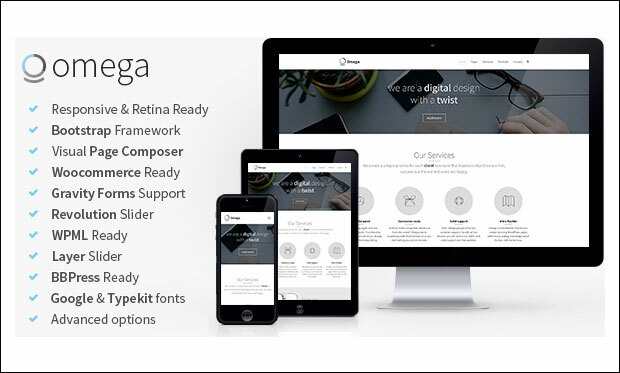 Omega is a clean and simple bootstrap WordPress theme designed to offer a great user interface. This fully responsive theme is bbPress ready, WPML ready and retina ready. It is built on latest bootstrap framework and programmed with valid HTML5 and CSS3 technologies. You can build amazing page layouts with the help of advanced page builder. Impress your visitors by crafting stunning slideshows through layer slider and revolution slider. This theme is tested for Go Daddy servers. 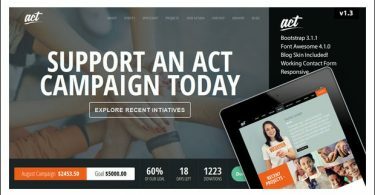 It’s an ad and adsense optimized WordPress theme designed for those who wish to showcase advertisements and drive huge traffic to their site. Download this theme that comes at an affordable price and start generating revenue from the website. 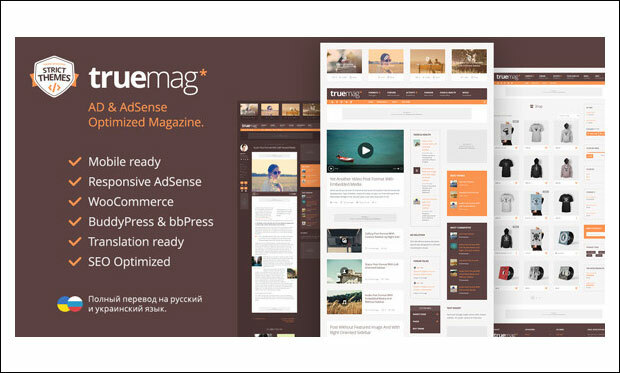 Truemag is built with SEO best practices in mind to improve the site ranking on Google, Bing, Yahoo etc. It fully supports integration of bbPress and BuddyPress plugins. 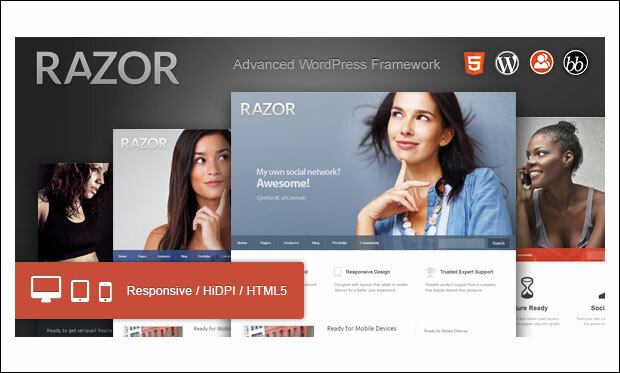 Razor is a BuddyPress and bbPress ready WordPress theme that has been professionally designed to provide visitors a great navigating experience from any mobile device. Design your site by using unlimited layouts and page templates, custom headers, footers and unlimited colour schemes. It is equipped with .po and .mo files for translating the theme to local languages. By using Contact Form builder, you can craft your own contact forms for interacting with website visitors.